The meeting hall of the United Nations General Assembly. This is the room in New York City where decisions about statehood are made. Photo credit: Rob Young (via Flickr, Creative Commons license). On November 29th, the United Nations General Assembly overwhelming voted to admit Palestine as a permanent observer. Despite strong opposition from the United States and Israel, the General Assembly voted 138 to 9 (with 41 member states abstaining) to grant this diplomatic recognition. Though the UN is an inefficient and much-maligned world body, the United Nations General Assembly is the body that weighs questions of statehood in the contemporary era. 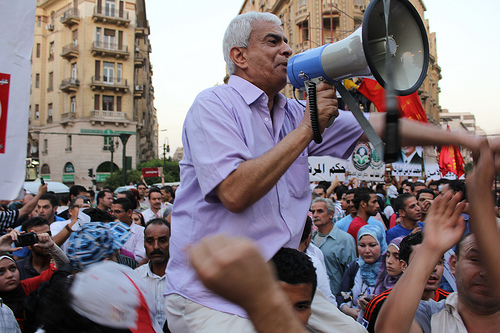 The Palestine vote has understandably attracted the most attention in the context of the Israeli-Palestinian conflict. Mahmoud Abbas and the Palestinian Authority had long been trying to gain observer status in New York, and the Israelis and the Americans had opposed this decision over a multi-year period. The General Assembly vote is another crucial milestone in the growing diplomatic isolation of Israel. In response to the UN vote, the Israeli government announced plans to fast-track a huge expansion of Jewish settlement building in the West Bank. Beyond this particularly important Middle East conflict, though, the Palestine vote underscores the continuing relevance of the United Nations to world politics. Prior to the UN era (1945 – ) – and the short-lived League of Nations era – international recognition of statehood was relatively chaotic and lacked a systematic character. On the surface, the phrase “international recognition” sounds rather ordinary and unimportant. In reality, lack of international recognition is the key sticking point for most unsuccessful bids for sovereignty. Just ask the separatists from Somaliland, or Tibet (Xizang Province, China). In the current geopolitical era, unless the club of existing states (i.e. the UN General Assembly) grants you membership, your territory does not warrant the label “sovereign state.” And, importantly, Palestine has not achieved this designation. At least not yet. The status of a Permanent Observer is based purely on practice, and there are no provisions for it in the United Nations Charter. The practice dates from 1946, when the Secretary-General accepted the designation of the Swiss Government as a Permanent Observer to the United Nations. Observers were subsequently put forward by certain States that later became United Nations Members, including Austria, Finland, Italy, and Japan. Switzerland became a UN Member on 10 September 2002. Will the Palestine vote open the door for additional permanent observers at the UN General Assembly? The answer is likely no. The only other current observer is the Vatican. In the case of Palestine, both the longstanding nature of the Arab-Israeli conflict and the symbolic and substantive importance of the conflict in the wider world point to an anomalous situation. Even so, the world would do well to start re-thinking the status quo with regard to statehood recognition. In particular, state failure represents a huge challenge to the current system. 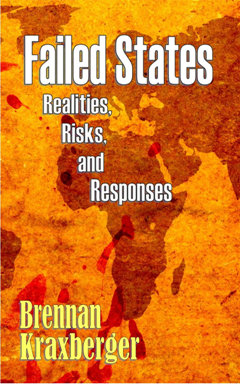 My new book, Failed States: Realities, Risks, and Responses, explores these issues in much greater depth.